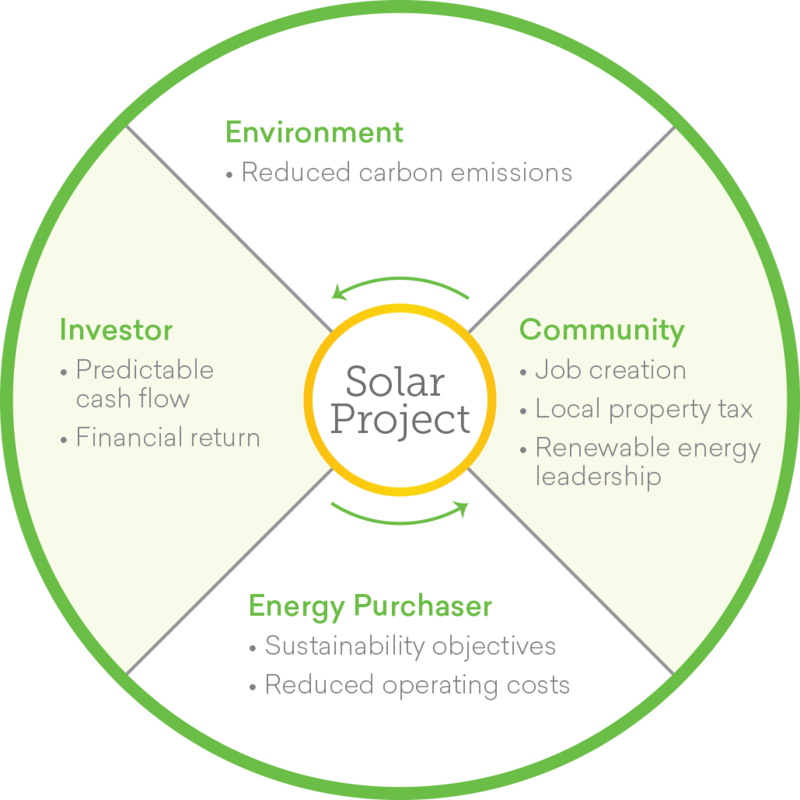 Our team of experts navigate the solar project financing ecosystem so you don’t have to. For decades, access to attractive, asset-backed clean energy projects has been limited to large investors with dedicated in-house teams. The NRS approach provides efficient deal sourcing, development, risk assessment and project management, allowing a broader community of qualified investors to participate in the new energy economy. New Resource Solutions (NRS) offers qualified individuals, investment funds, endowments, and foundations a simple and efficient way to directly acquire clean energy generation projects. Our team works with a carefully vetted network of established partners that build clean energy projects serving schools, municipalities, non-profits, and others. After passing through a careful pre-acquisition diligence process, we can also provide complete project management services during construction. Whether you are an investor, project developer, or are seeking a clean energy solution, we look forward to welcoming you to the NRS community. © 2019 New Resource Solutions. All Rights Reserved.